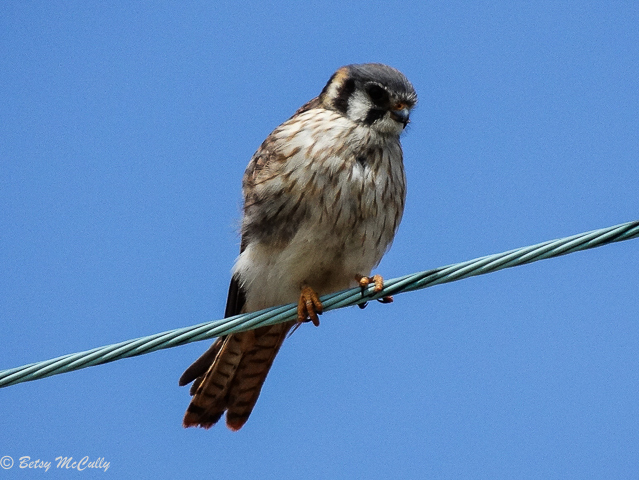 American Kestrel (Falco sparverius), female. Year-round. Grasslands. Feeds on grasshoppers.